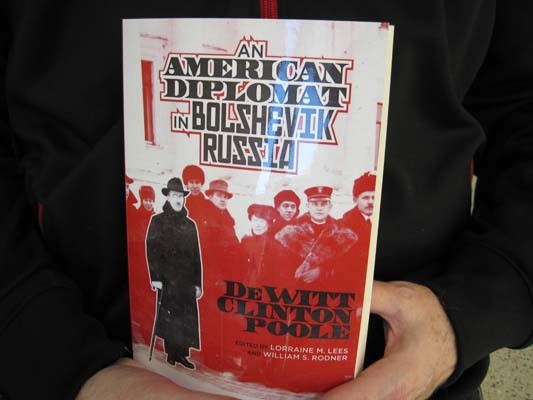 Five years of work that included stops at the Library of Congress and Kings College London culminated in “An American Diplomat in Bolshevik Russia,” a 304-page recollection from diplomat DeWitt Clinton Poole. Tidewater Community College professor William Rodner and his wife, Lorraine Lees, a history professor at Old Dominion University, co-edited and annotated the oral history memoir centered on the political turmoil in Russia in the final year of World War I.
Rodner will be part of a book signing featuring six of the college’s professors, each with new books, at the Barnes & Noble at TCC Bookstore on the Virginia Beach Campus. The event is Dec. 9 at 12:30 p.m.
Rodner has taught world history at TCC since 1988. 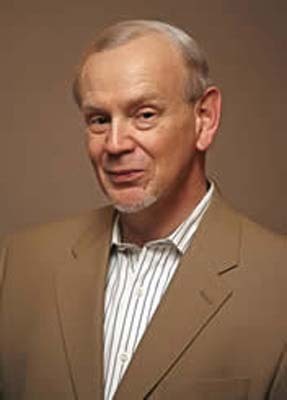 Being named a Chancellor’s Commonwealth Professor for 2009-11 by the Virginia Community College System allowed Rodner both the time and monetary means to support his research for the book. Initially it was Lees who enlisted her husband’s help after doing fact-finding for her own book. That’s when she found Poole’s oral history dictated to a stenographer at Columbia University. All of it was on microfiche. Rodner and Lees’ research included additional stops at National Archives; the Wisconsin Historical Society, which houses Poole’s personal papers and correspondence; the Imperial War Museum Archives, the Liddell Hart Centre for Military Archives; King’s College London; the Brotherton Library Archives; and Leeds University, also in England. While the central New Jersey native embraces all history for the lessons it teaches, he has particular affinity for World War I and took part in last month’s MacArthur Memorial’s World War I Centennial Symposium in Norfolk. Rodner traces many of the world’s most significant historical events to that war, including the rise of communism, the United States becoming a dominant world power, women receiving the right to vote in both the U.S. and Britain and even the formation of the modern state of Israel. Rodner holds a doctorate in history/art history and a master’s in British and Irish history, both from Penn State.